After a few months of staying put in Berlin, I finally had the chance to travel again and visit my favourite city in Europe, Budapest. This city has long meant much to me. My first trip to Budapest was in December 2010. I fell in love with everything from the architecture, to the ruin bars, to the thermal baths, and more. I couldn’t get enough and have come back countless times since. Each time I return, I make a point to walk along the Danube and across the Chain Bridge. Taking in that panoramic view is always a heady experience, from Buda Castle, to Fisherman’s Bastion, and the Parliament Building. It was also the last place I visited before I left Europe in 2012. With tears streaming down my face, I walked across the bridge, stared at my surroundings, and said goodbye to a city and a continent I loved. I vowed I’d be back someday, even when I wasn’t really sure it would ever happen. By some miracle, I moved back to Berlin and fell back into my old/new life at the end of 2014. Since returning, I’ve visited Budapest twice. Once in February 2015 where I hunted down street art, as well as the coolest places in Budapest to hang out. After way too long of a delay, I finally found myself there again in February. I set out to revisit some well known tourist attractions, as well as get to know some more off the beaten path locations. Read on to get the lowdown of how me, a “professional travel blogger” chose to spend her weekend in Budapest. Find out where to sleep, where to eat, and what to do in order to make the most of a fast 48 hours in this thriving city. This post is the first in a new series that I’m introducing here on the blog, featuring weekends guides to various places I frequent around Europe. Watch this space, as I plan to add more destinations in the near future. Since Budapest is my favourite city in all of Europe, it only made sense to start with Budapest. Recommended reading: Read what fellow travel bloggers had to say in their Budapest weekend guides. 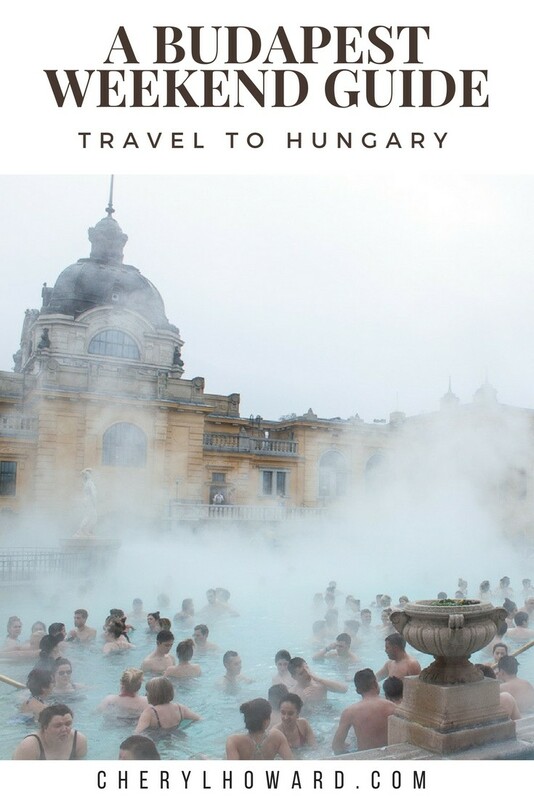 Start with this post from Hand Luggage Only – How To Spend A Perfect Weekend In Budapest or read Weekend in Budapest from Kaley. What should you expect from this guide? An overview of how I spent my weekend, how much things cost, and loads of practical tips. I chose to call the Marmara Hotel my home away from home for the weekend. 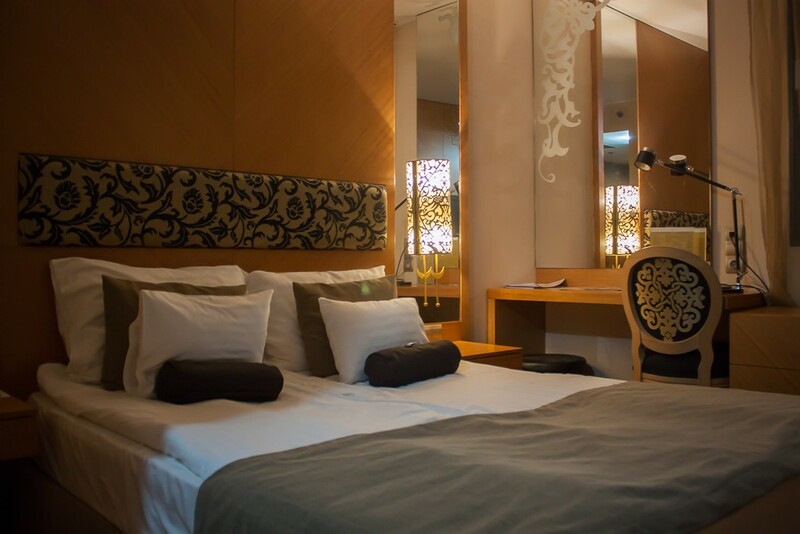 This small four star boutique hotel, with a contemporary Oriental theme, is centrally located close to both the Grand Boulevard and Nyugati Railway station. Maybe I’m getting old, but I liked that the hotel’s a bit of distance away from the hustle and bustle of District VII where it can be hard to get a good night’s sleep due to all the crazy parties happening late into the night. As the hotel only has 93 rooms, it’s fairly quiet there as well and you’ll find yourself being able to rest pretty easily. The hotel has a friendly and helpful concierge staff who are there to help 24 hours a day, whether it be booking you an airport shuttle, buying a ticket to the thermal baths, or recommending a restaurant for dinner. There’s also a small lobby bar where you can indulge in a nightcap before retiring to your room for the evening. Wifi is free and available throughout the hotel. Marmara Hotel also offers breakfast and while it’s nothing spectacular, you can expect the standard spread of breads, fruits, yogurt, meats, eggs, etc. I booked a single room with a view overlooking the street. While the room was on the smallish side, it had everything I needed like a minibar (I totally broke open a bottle of red Hungarian arrival right after I checked in! ), a flat screen television with many English channels, a desk area for work, a hotel safe, etc. The cost for two nights with breakfast included was €146 (about 46,000 forints). As I checked into my hotel around dinnertime, I was totally famished. I hadn’t had a meal since breakfast and was eager to eat alllll of the Hungarian food. I didn’t have to venture far either as I chose to dine at Matula Bistro, just down the street from the hotel. Before I tell you more about the restaurant, I need to make a confession. As is the case time and time again, I’m a very bad travel blogger and make mistakes. I’d taken some beautiful photos of the establishment, as well as my dinner, but I accidentally deleted them when I was moving the photos from my SD card to my Macbook. My apologies, as now you’ll need to imagine what the tasty food looks like. Better yet, don’t imagine and visit this traditional Hungarian restaurant the next time you’re in Budapest. More popular with locals than with tourists, this place is highly rated on Facebook and Google. 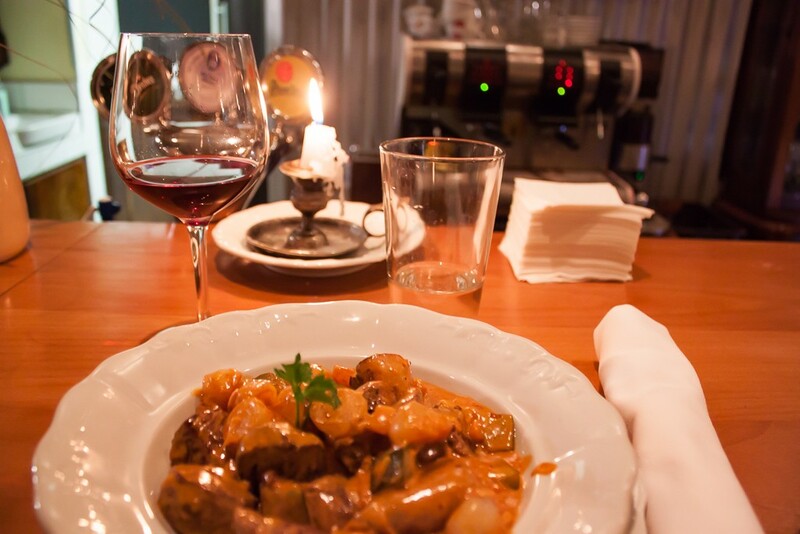 Serving up authentic Hungarian food, Matula Bistro has a massive menu (in both Hungarian and English) and an extensive wine list. They also offer a daily menu with special dishes. Cool without being pretentious, friendly wait staff who speak English, and affordable prices all make Matula a good dinner option. While there, I ordered a dark Hungarian beer and a red wine boar stew with mushroom dumplings and a blueberry marmalade. The portion size was just right and the meal was delicious. Although I didn’t have it, online reviewers praise the fish soup as a starter. Because I was tired and recovering from a cold brought on the “beast from the east“, this wrapped up my night in Budapest. I returned to my hotel and got to bed early in order to get an early start on Saturday. The cost for dinner which included a main and two beers was €12 or 3500 forints. After having a leisurely breakfast at the hotel, I was off for the day! My first destination was the McDonalds in nearby Nyugati Railway station. While you might think, “WTF, Cheryl? Why would I ever visit a McDonalds? Why are you recommending this as a must visit tourist attraction?” Pause for a moment and take a look at the photo above. Really look at it, even stare it for a while. This might be the single most beautiful McDonalds location in the world! 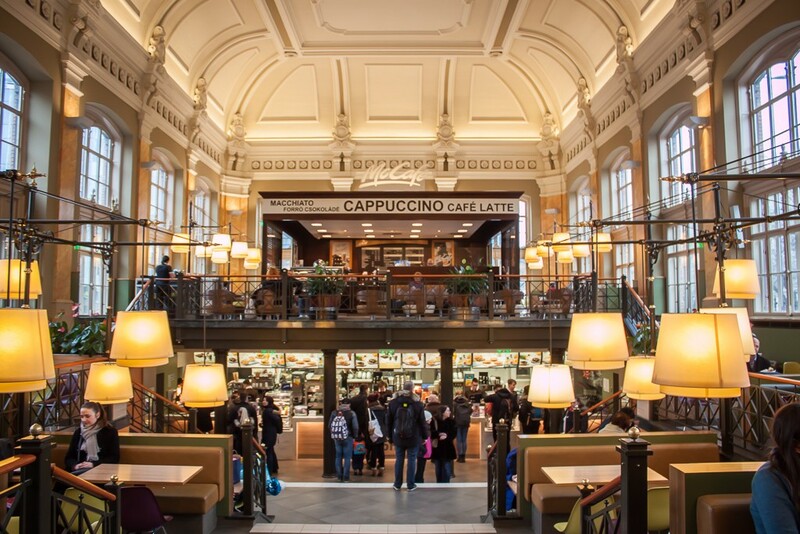 I wrote about this stunning McDonalds in Budapest back in 2011. Aside from the fact that we all find it staggering my blog has been around this long, just come to this place, bask in all of that baroque and colonial architectural glory, and think about the fact that this was the very first McDonalds in Budapest when it opened in 1988. It was a sign of the coming times, as the Communist reign over the country ended not long after. For the record, I didn’t eat or drink here (promise!). I just popped in for the photo op. But no one will blame, shame, or judge you if you want to stay put for a while taking advantage of the air conditioning (Budapest can get way hot in the summer), the free wifi, or even the food or drink. 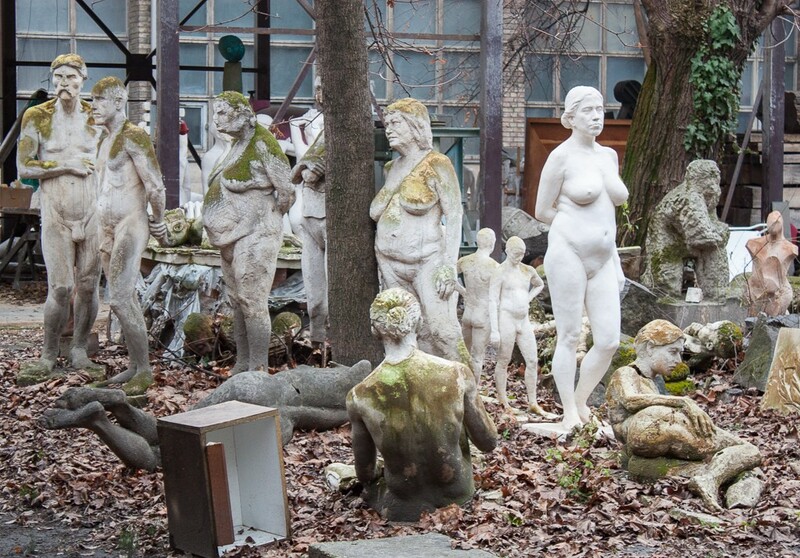 As I was making my way to Heroes Square by foot, I came across this very weird group of naked statues set in a Epreskert Garden. As I love all things weird and offbeat like the hands sculpture in the Venice grand canal or river surfing in Munich, this stopped me in my tracks. 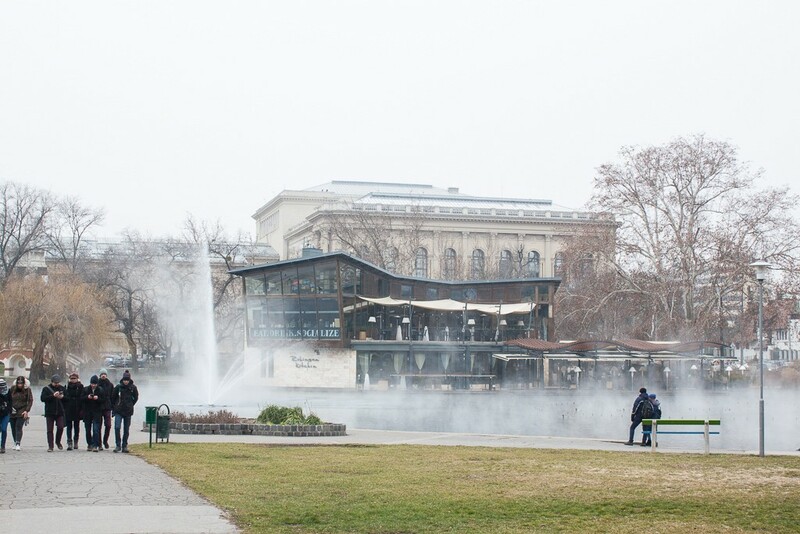 Epreskert Garden has been a hot spot for art in Budapest for more than a century. 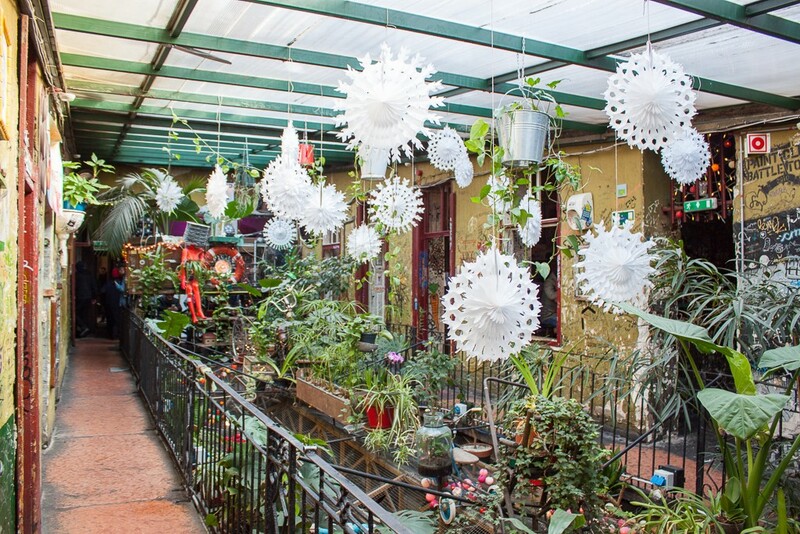 Once an area used to farm mullberries, the land was later given over to artists who transformed it into a public art space and a thriving artists’ colony by setting up studios, establishing gardens, and building various pavilions. One artist, Alajos Stróbl went so far as to dismantle an old chapel and transfer it the site stone by stone. The Hungarian University of Fine Arts came to call Epreskert Garden home as well. The garden’s only open to the public on specific occasions, and unfortunately, it was closed when I was there. Regardless, I stood there transfixed, taking photos, and gazing at the figures of men and women of varying ages and body shapes. I would’ve loved to go in, walk around for a while, and learn about why these sculptures are there, who created them, and more. Continuing on, I made my way to Heroes Square, a place I’ve visited tons of times and one that somehow always manages to imprese me. Built to mark the 1000th anniversary of Hungary, construction on Heroes Square began in 1896 and finished in 1900. 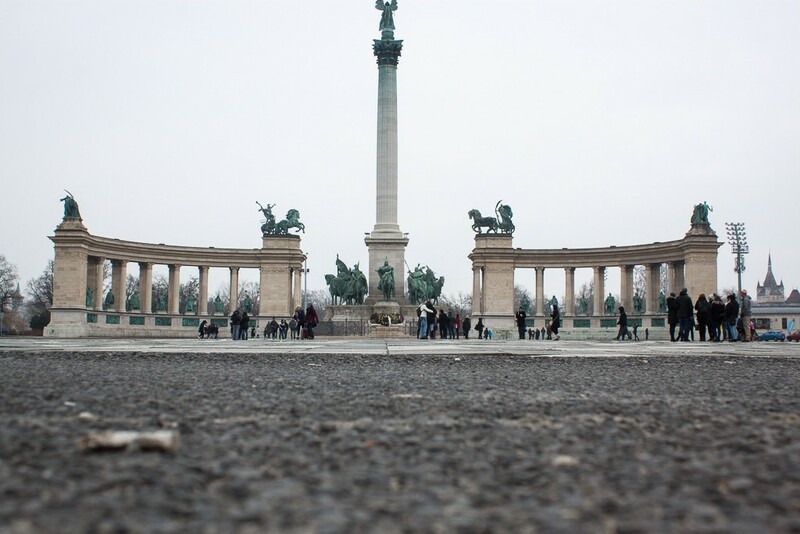 Now the largest square in Budapest, the monument features the seven chieftains of the Magyars, several other national leaders, and the Tomb of the Unknown Solider. It also plays host to various national events throughout the year. The Millennium monument in the middle is topped by the Archangel Gabriel who looks down on the chieftains below him. Each of the colonnades to the left and right feature other notable Hungarians. Flanking the square, is the Museum of Fine Arts, as well as the Kunsthalle or Hall of Art, spaces both worth visiting if you have the time. While in the square, you can also glimpse Vajdahunyad Castle off into the distance. Pro tip – visit during the day and then come back again to see it at night. Trust me, it’s worth coming back a second time. After Heroes Square, I took a walk through Budapest’s City Park when I spied a bunch of locals ice skating beside the Neo-Baroque/Gothic/Romanesque Vajdahunyad Castle. 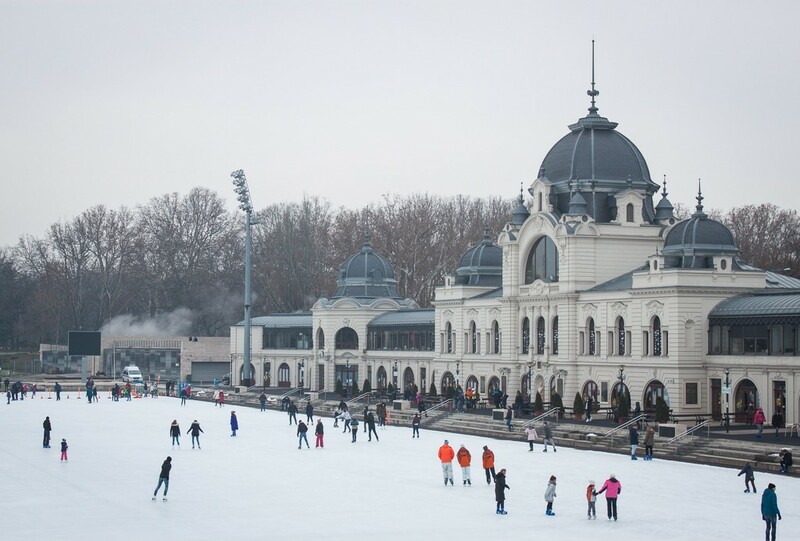 At 15,000 square meters, this is Europe’s largest outdoor ice rink, with special areas for children and speed zones for the more talented skaters among us. Swoon! Yes in Europe, dreams do come true. Being a woman from Canada, the idea of skating beside a historical landmark like a castle makes me all giddy inside. I actually didn’t skate when I was here and just watched them for a while, but I made note to go ice skating here in the future. 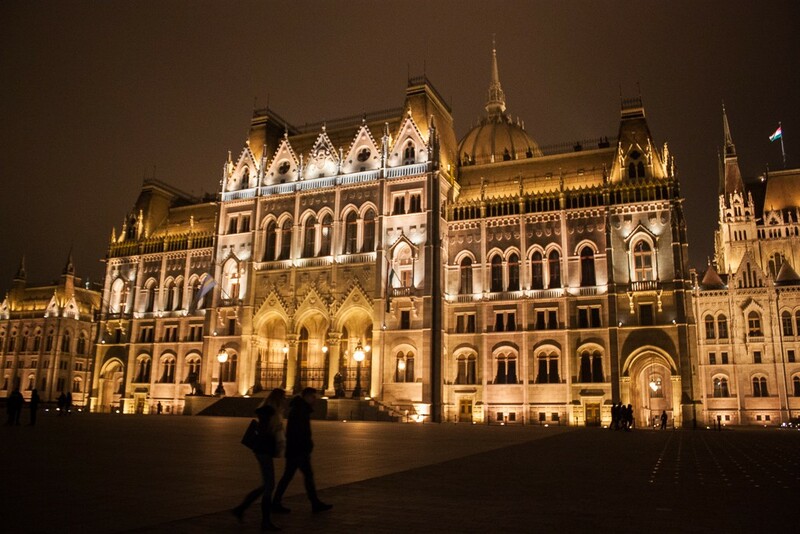 It’s said to look especially enchanting by night and I couldn’t imagine a better way to spend an evening in Budapest. What an incredible date night spot this would be … hint, hint, future boyfriends of mine! The rink is typically open from November – March, weather permitting. It’s open daily – check this schedule for exact hours. Skate rental is also available. Fees range from €4 – 7 or 1200 – 2000 forints, depending on the day of the week. Credit cards are accepted. Finishing my stroll through City Park, I again stopped (notice I do this a lot) to take in the steam rising off the pond and to further with my obsession with taking photos of birds. I’m not sure just why, but over the years, I’ve gained this bizarre habit of taking photos of birds whenever I travel. I’ve fond memories of going on extreme photo shoots with ducks on a bridge in Verona, swans and ducks on the ice in the pond near the City Hall in Reykjavík, and swans in the castle gardens in Schwerin. 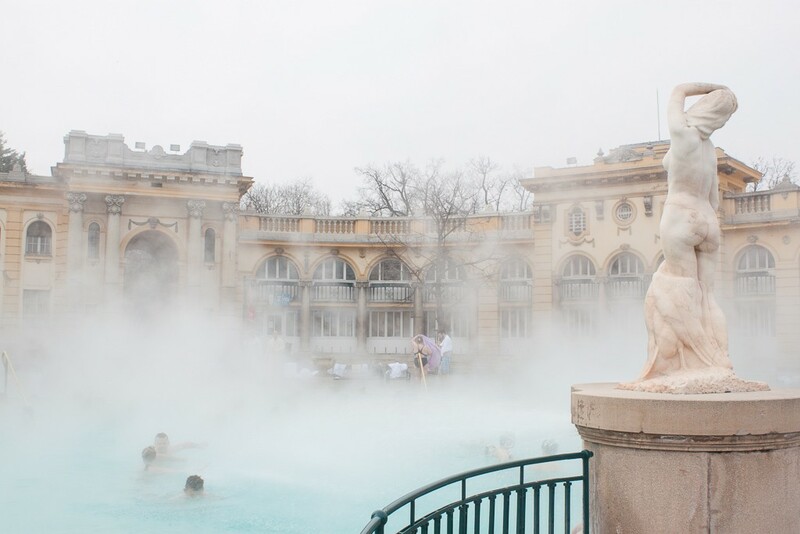 The single top highlight for most people travelling to Budapest is to hit up one of the many thermal baths. 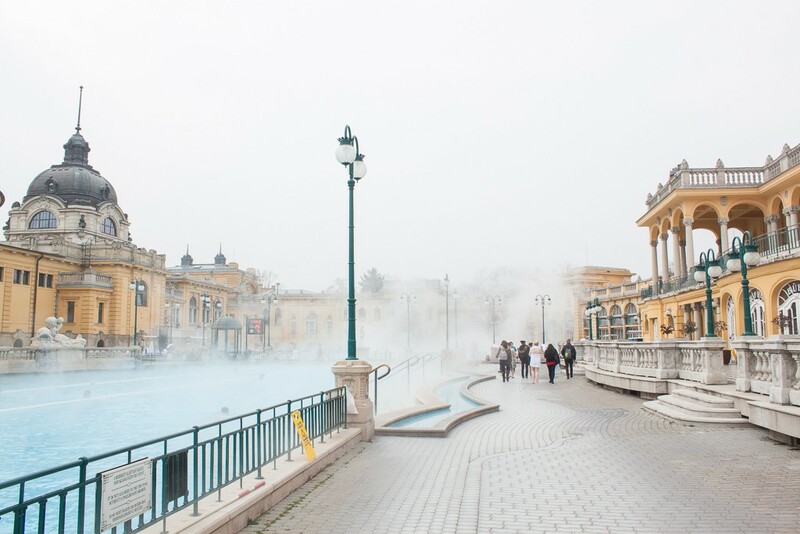 And the most popular one, Széchenyi thermal bath, is popular for a reason. Not only is it one of the nicest baths in the city, it’s also the most fun. 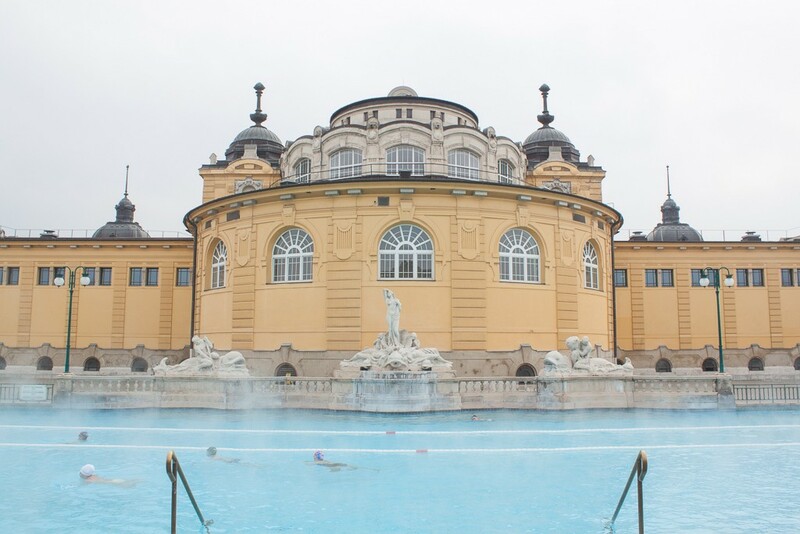 Situated in yet another Neo-Baroque palace which opened in 1913, Széchenyi’s the largest medicinal bath in Europe and features 15 indoor pools, three huge outdoor pools, and 10 different saunas. There’s even an activity pool with a whirlpool which will literally propel you to float around in a never ending circle. The pools are heated by two thermal springs that average temperatures somewhere around 74 – 77 degrees Celsius. Even during the coldest weather when you throw off your towel, squeal like a maniac, and run like the wind towards the pool, it’s like stepping into a big, warm, welcoming bath tub but just with a lot of other people. The waters are full of various chemicals which are said to be healing, especially good for joint pain, blood circulation, and nervous system disorders. The pool’s almost always packed full of people. It’s all part of your Széchenyi experience. You’ll find selfie stick wielding tourists and Instagram stars wearing sponsored bikinis, as well as locals, many of them who come at 6:00 am in order to avoid the crowds. You may even spy some old men passing the day away by playing chess on floating boards. When you need a break from the hot waters (no more than 20 minutes at a time is recommended for the hotter pools), grab a drink from the small bistro. Aside from the various bathing and sauna options, you can further your spa experience by booking a massage, facial, or pedicure. I’ve enjoyed a Thai massage there a couple of times. 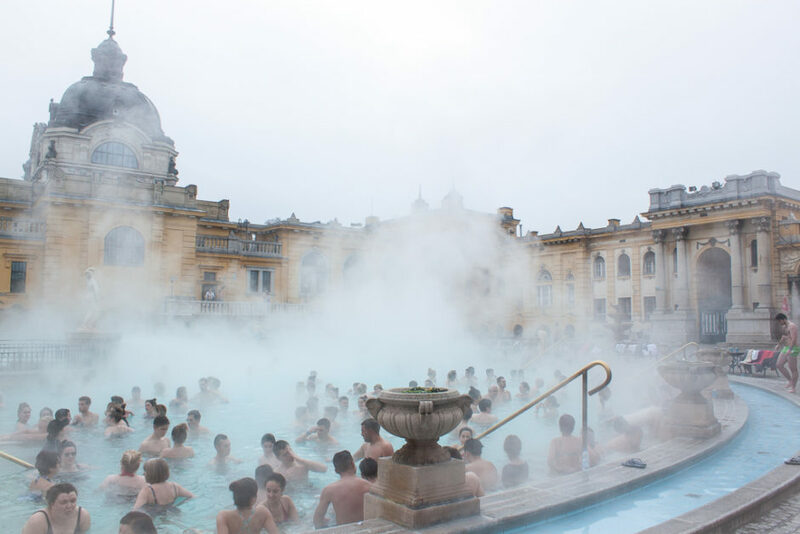 Book ahead: Skip the line with this day pass for Széchenyi Baths or add in a VIP massage. Széchenyi also hosts parties each Saturday. Cleverly known as “sparties”, the baths turn into a big, wet, crazy rave that lasts long into the night with loud music and plenty of drinks. Imagine wading into a hot sud filled outdoor pool with a cup of beer and dancing the night away under the stars with hundreds of other super drunk people. For some, this induces a panic attack or revulsion to think how gross the pool must get and for others (like me), it sounds like one hell of a fun night out. The pool’s open daily all year round from 6:00 am – 10:00 pm to both men and women. Swimming caps are required for the cold outdoor pool. You can rent or buy things like towels, sandals, and other necessities there, but you can save money by bringing your own. A full day ticket with cabin starts at €20 or 600 forints. However, admission prices vary depending on how much time you spend there, which day of the week you visit, and what things you buy or rent like a towel. Check Széchenyi’s website for more details. 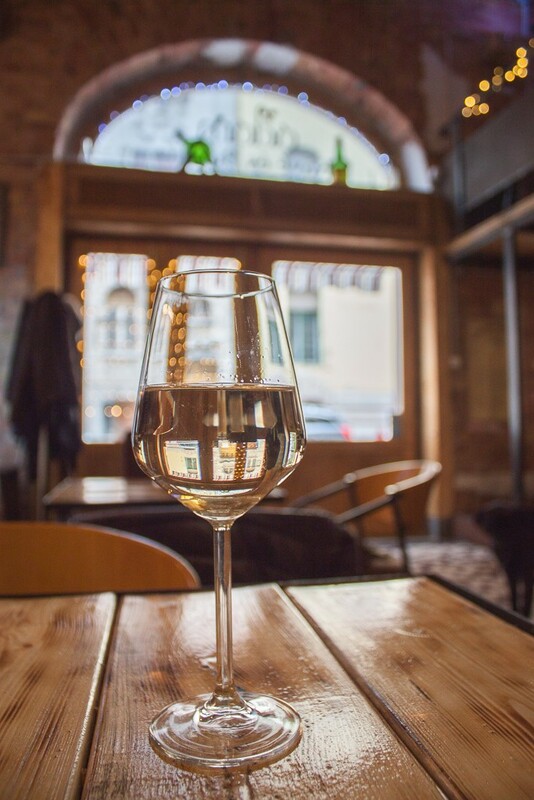 9) Stop for a Glass of Hungarian Wine Because … Wine Not? It may be obvious that I like to drink on my holidays, but as Hungarian wine’s one of my favourite alcoholic indulgences, it’s hard to resist having some when you’re there in the country. While making my way back to my hotel, I stopped by Ádám kávé és borház for a quick drink. 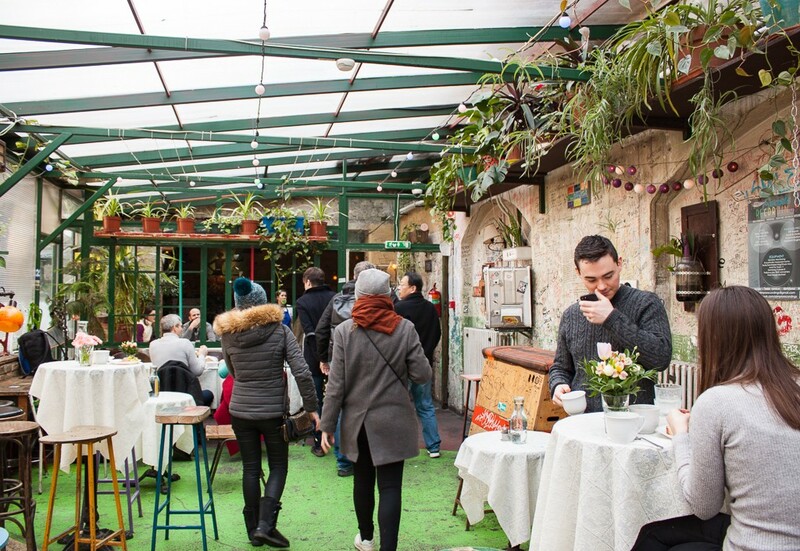 This small café even has a resident dog who you’ll likely spy lounging about somewhere inside. It’s the perfect place to have a glass of wine, a cup of coffee, or one of their sandwiches or cakes. For a different experience, come back at night when it gets quite busy with local residents. 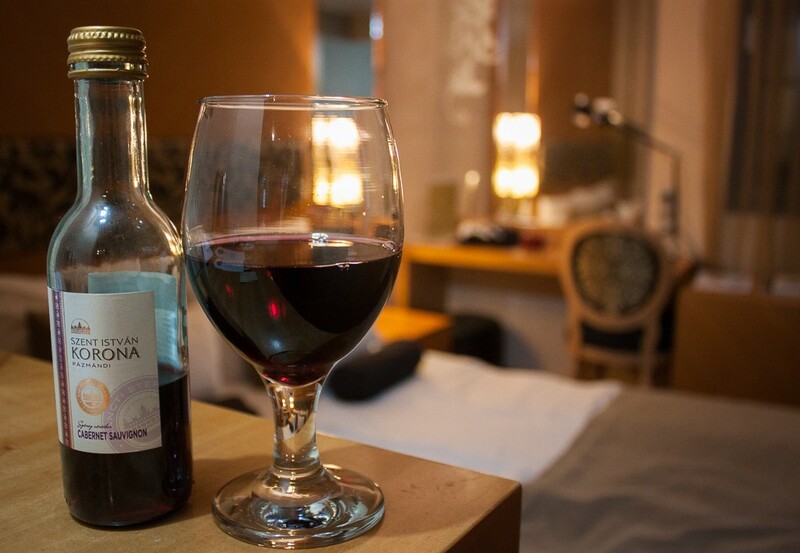 A glass of wine will run you about €3, close to 1000 forints. As it was getting to be late afternoon, I was once again hungry (in Hungary!). Bad jokes aside, I was drawn into Lana Bistro as not only was it close to my hotel, but they offered super tasty chicken wings which are tough to find in Europe. As I have a weakness for chicken wings and even though I knew I should’ve been eating some more sophisticated Hungarian fare, I couldn’t help but have a late lunch here. While Lana Bistro does actually offer some Hungarian dishes, their mainstay dishes come in the form of American comfort food like burgers, pulled pork sandwiches, and fish and chips. 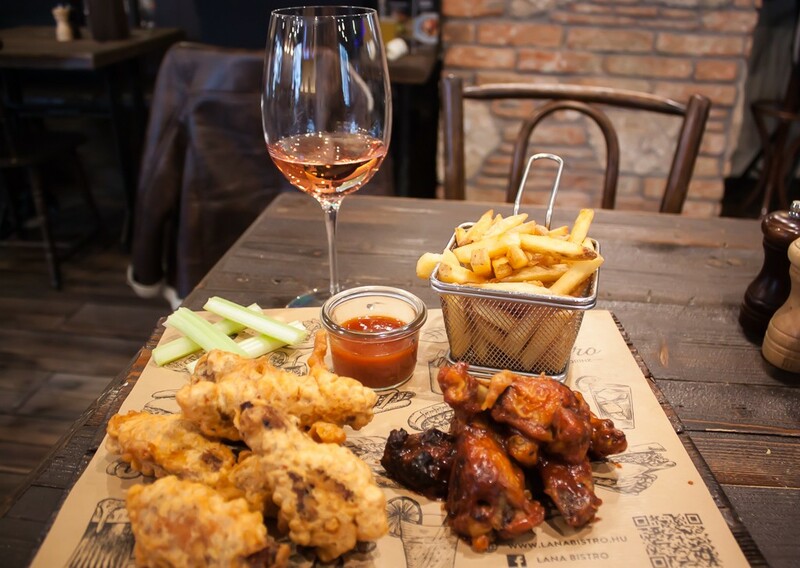 I went with the tempura and BBQ chicken wings with fries and another glass of Hungarian wine. The main dish came to just over €7 or 2290 forints. In a bit of a food coma, I returned to the hotel for an afternoon nap only to come out later to have some good old fashioned fun at the Budapest Flipper Museum. 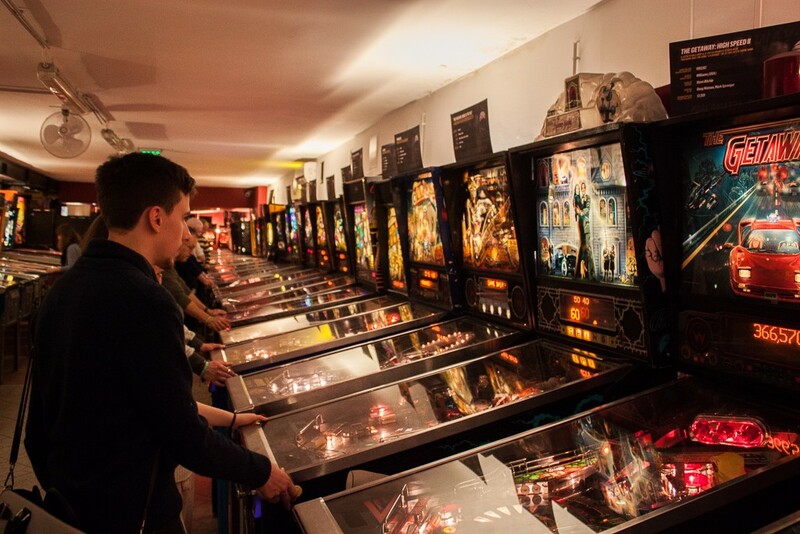 Recommended reading: This informative piece – Budapest Pinball Museum: Budapest’s underrated tourist attraction is the best in the world and another article from Travel and Leisure, You’ll Flip for Budapest’s Pinball Museum. The Budapest Flipper Museum was undoubtedly one of the most surprisingly fun experiences that I’ve had in a long time. 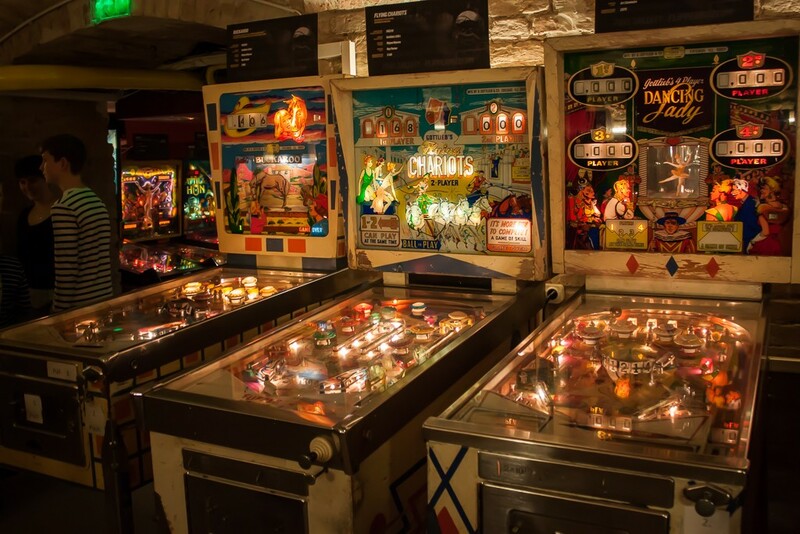 Although it’s a museum in the sense that it houses more than 115 old and new pinball machines and 30 other types of games from as early as 1871, it’s also interactive. The machines are fully functional and you can play all of them. Better yet, one ticket guarantees you unlimited hours of play. The place has gained such a cult following that it’s now one of Budapest’s top rated attractions on Trip Advisor, currently sitting at 15 of 558 things to do in Budapest. Owner Balazs Palfi became fascinated with pinball machines at early age during the 80s. As an adult, he was able to realize his lifelong dream when he opened the museum in 2014 after collecting machines for more than 7 years and importing them from more than 16 different countries. Housed in the basement of a residential building, walking through the museum’s 400 square meter labyrinth is a pop culture journey through time. There’s the tabletop bagatelles from the 19th century, classic machines from the 1930s, Star Wars and Indiana Jones games from the 1970s, and more modern ones featuring the Simpsons. There’s several musical themed pinball machine including ones for Kiss, Elvis, the Who, and Guns and Roses. Amongst the rarer finds are the Hercules which is the biggest pinball machine in the world, the Mesovonat (the only known Hungarian made pinball machine), and a 1920s hockey table. Technicians work very hard to keep the machines functioning and Palfi even goes so far as to dub them artists. It’s easy to understand why as you can’t simply buy new parts and the work involved with a fix is painstaking. They either fashion new makeshift parts or take them from other old dismantled machines. At any given time, the Flipper Museum has more than 40-50 games in stock, reserving them for when other machines are down while others are still awaiting restoration. Guests tend to be more foreign than local, which I can’t understand as if I lived in Budapest, I’d be here all of the time. The Flipper Museum even has pinball tournaments! As it’s a pretty family friendly establishment hosting children’s birthday parties and the like, you cannot buy alcohol on site, but there’s a snack bar offering junk food and soft drinks. What I like best about this place, outside of the obvious fun of playing pinball for hours on end, is that it gets you off your phone and has you live in the moment. You can just focus on playing the games and having a good time. Even when I thought I’d blitz through the place, I ended up staying for 90 minutes. The museum’s closed Monday and Tuesday and is open Wednesday – Friday from 4:00 pm – midnight, on Saturday from 2:00 pm until midnight, and on Sunday from 10:00 am – 10:00 pm. Admission is around €10 or 3,000 forints. 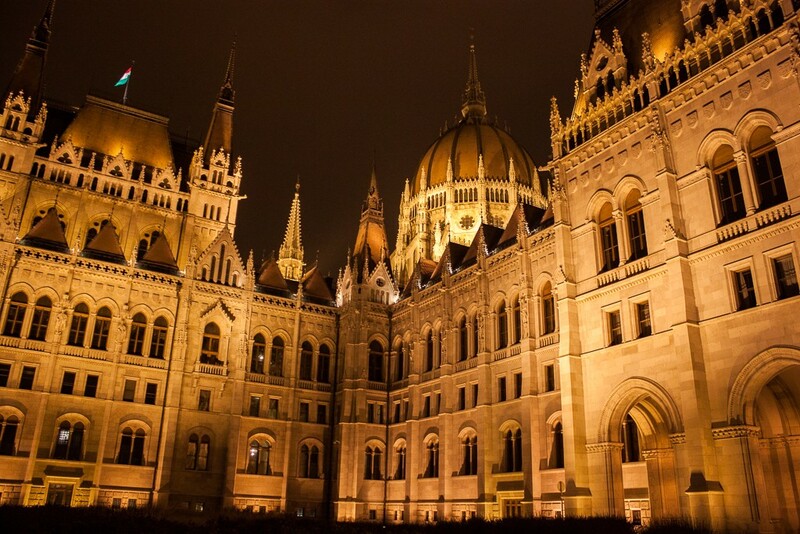 Leaving the warmth of the Flipper Museum, I set out for a long walk through the cold Budapest night, and made my way to the larger than life Hungarian Parliament. Opened in 1902, this enormous building is the third largest parliament in the world and combines Neo-Gothic, Renaissance, and Baroque architect architectural styles. Throwing down some impressive numbers, the parliament building has 691 rooms, 20 kilometers of stairs, and reaches a height of 96 meters. 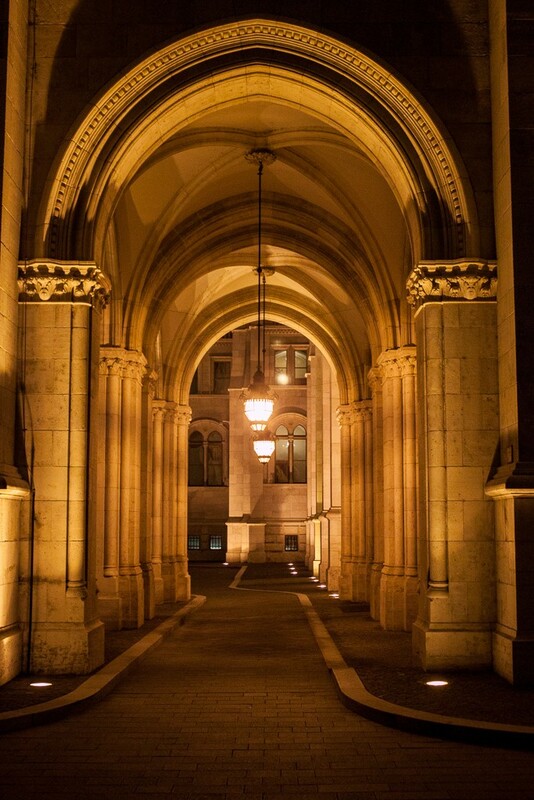 Guided tour are available when parliament is not in session and cover the main entrance, main hall, one of the lobbies, House of the Lords, and a glimpse of the rare Hungarian crown jewels. Tours take about 45 minutes and are available in several languages. Book ahead: As only a limited number of tickets are sold each day, plan in advance in order to snag a ticket and avoid long lines by booking online. If you’d also like to be picked up from your hotel for your tour, book here. The best views of the Hungarian Parliament building are from the water by taking a Danube river cruise by day or night and from across the river, specifically at Batthyány Square. Walking there (from the direction of the Flipper Museum) and watching the historical looking trams fly by is also a delight. Tickets for Hungarian and EU citizens are about €7 or 2,200 forints, while tickets for non EU citizens are about €19 or 5,800 forints. 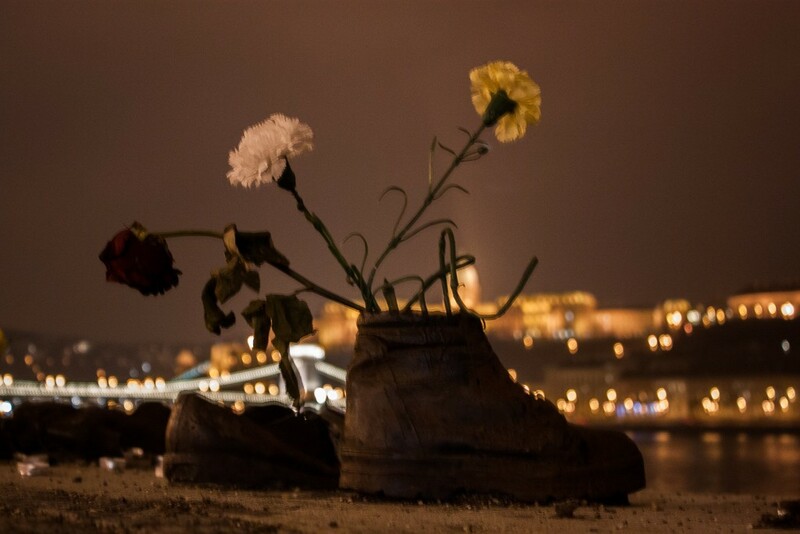 A mere 300 meters south of the parliament building on Pest’s east bank, you’ll come across 60 iron shoes attached to a stone embankment along the Danube Promenade that comprise the Shoes on the Danube Bank Memorial. Don’t take this memorial lightly. Stand there for a while and let the tragedy of what happened there soak in. Imagine this is where they stood, feel the fear, anguish, and sorrow of their last moments, and then be angry at the coldness and casualness in which their murders were undertaken. As the far right continues to grow in power, we need these reminders more than ever so that humanity never again repeats these mistakes of our past. The Széchenyi Chain Bridge in Budapest is surely one of the most beautiful bridges out there and is where I ended my late night walk along the Danube. This bridge is so special to me that I make it a point to walk across the bridge each and every time I visit Budapest. I’ve taken great pleasure of shooting photographs of the Chain Bridge at dusk and then again at night. Recommended reading: It seems I have a thing for bridges. Read about the time I spent in the Montenegrin capital of Podgorica and geeked out at the sight of the Millenium Bridge or the time I went to Bosnia just because I saw a photo of Mostar’s Old Bridge on Pinterest. 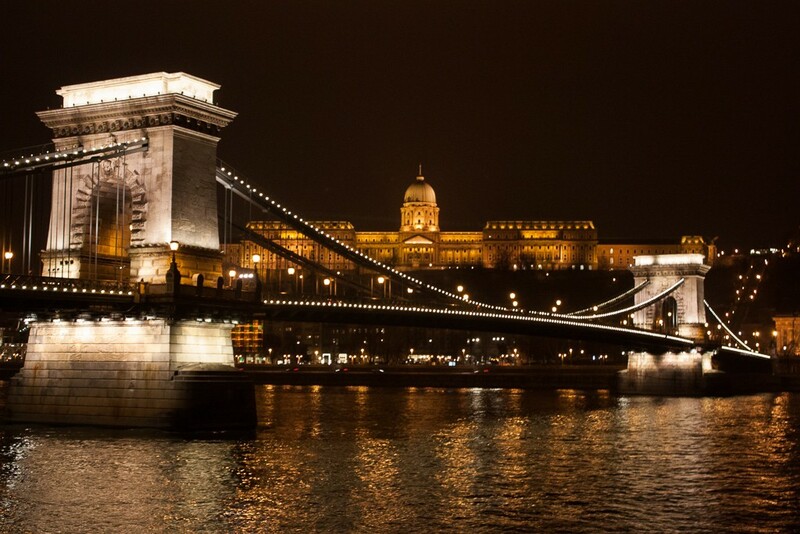 The suspension bridge is 375 meters long, stretches over the Danube, and connects the two sides of the city – Buda in the west to Pest in the east. When construction was completed in 1849, the bridge was the city’s very first permanent bridge and was even hailed as one of the wonders of the modern world. 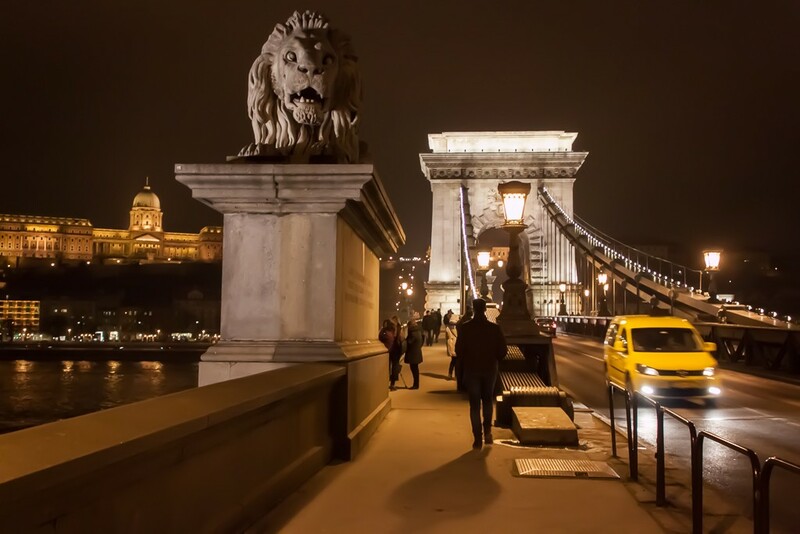 Guarded on either side by two fierce looking lions, the bridge is a must see during your weekend in Budapest. As I hungry again, I started walking back into the Pest for a late night dinner. Along the way, I passed the Budapest Eye. 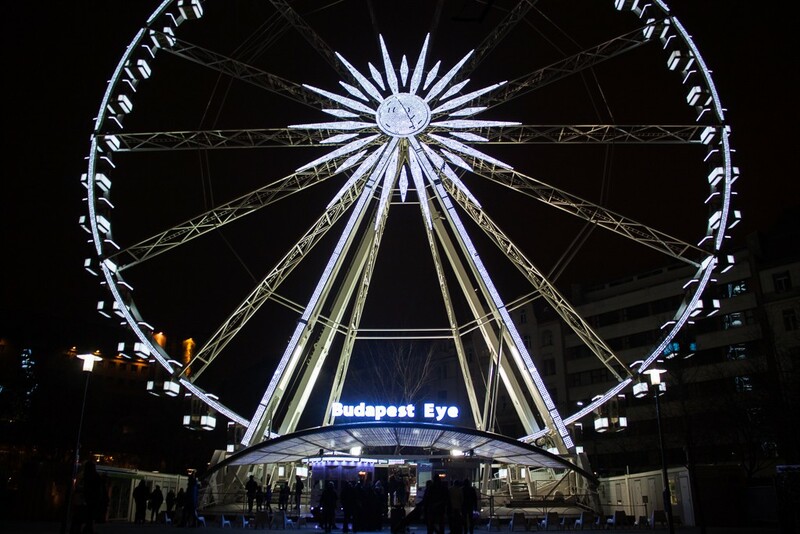 You’ll find the Budapest Eye, Europe’s largest ferris wheel, at Erzsébet Square in District V. Standing at an impressive 65 meters in height, board one of the 42 cabins (which are air conditioned in summer) and take in a stunning panoramic view of Budapest. 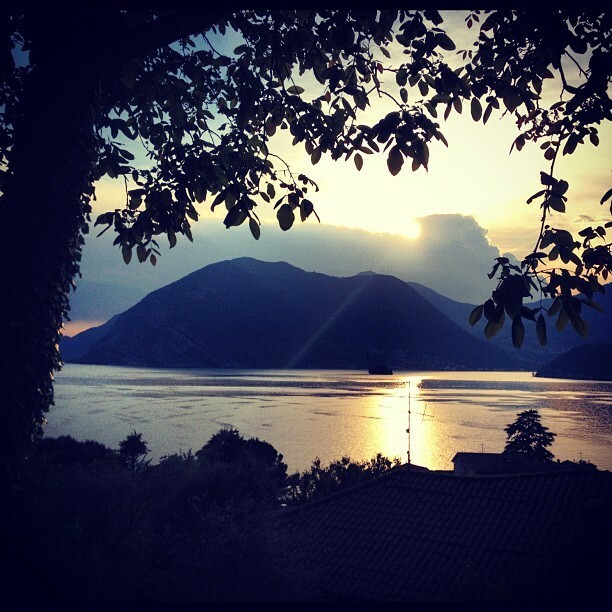 Whether you go by day or by night, you can expect equally good views either way. However, the ferris wheel itself is best seen at night when it’s lit up with more than 10,000 coloured lights. How romantic and dreamy is that? Ticket costs are 9€ (2,700 forints) for adults, 5€ (1,500 forints) for kids between 2 – 14 years old, and €8 (2,400 forints) for senior 65 and up. A family ticket for 2 adults and 2 kids under 14 years old is 23€ (6,900 forints). . I walked through Budapest’s party district and randomly looked for a place to eat. I wasn’t sure what sort of cuisine I felt like, but I knew I wanted to go somewhere good and that no matter what, my meal must involve one last bit of Hungarian wine. I found heaven when I spotted Gettó Gulyás! 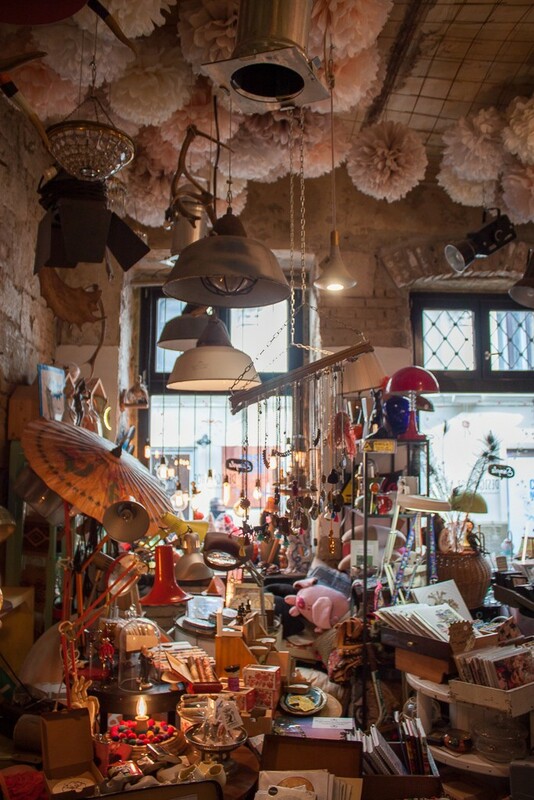 Gettó Gulyás has a funky but laidback vibe with it’s walls of corrugated metal sheets and vintage wooden furniture. While they serve up various traditional Hungarian dishes like goulash and chicken paprika, the heart of their menu is found in their 14 different types of stew, known as pörkölt. The stews are made with boneless meat (chicken, beef, pork, and even game), paprika, and vegetables. The chef is said to use old family recipes and is strict about sourcing ingredients locally. Please forgive my lack of detail here, but as the meal was so delicious that it did truly make me feel happy to be alive, I forgot to take note of the exact dish I ordered or how much the meal cost. Just trust me that it’s really good and nothing on the menu is really that expensive. To see how much others rave about the place, read this review of Gettó Gulyás from We Love Budapest. The restaurant’s open from 12:00 pm – 11:00 pm on Sundays through Thursdays and from 12:00 pm – 12:00 am on Saturdays and Sundays. Pro tip – As the restaurant gets crowded with tourists each night, get there early to avoid having to wait in line or be denied entry. If you come alone like I did, grab a seat at the bar and make friendly conversation with the staff and/or other patrons. 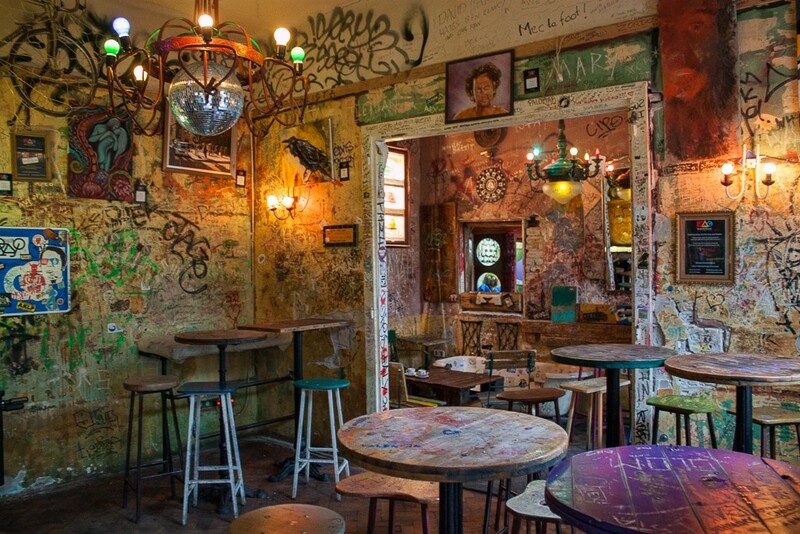 Szimpla Kert may very well be one of the most touristy spots in Budapest, but it’s still my favourite bar in the world. Set in a large former factory space, the building sat abandoned until it was transformed into the city’s first ruin pub in the mid-2000s. Taking the shabby chic concept to the extreme, the maze like location’s full of delight from its grafitti covered walls, to its shisha smoking patrons, the cheap drinks, and other whimsical touches like an empty bathtub and an old Trabant you can sit in. The bar plays host to cultural events like live concerts and open air moving screenings. Book now: If you’re brave and willing to damage your liver with palinka and other Hungarian alcoholic treats (Unicum! 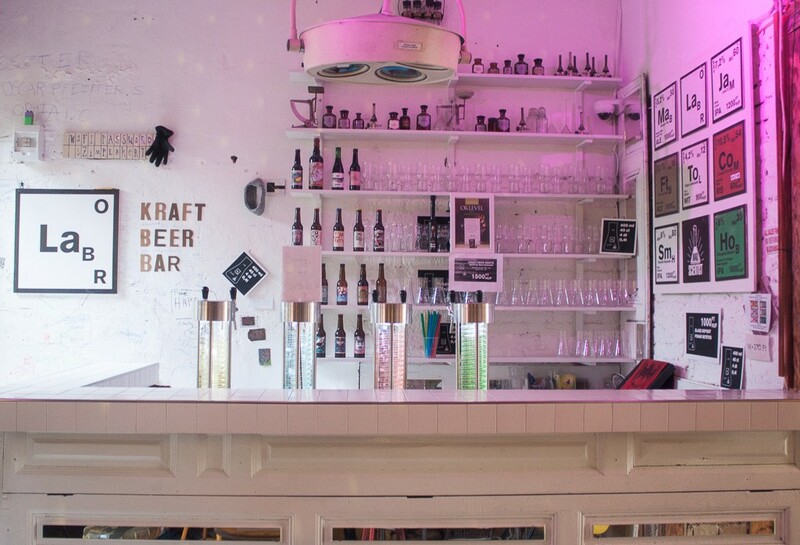 ), go on this 5 hour pub crawl to various ruin bars in Budapest. Over time, Szimpla became such a famous cultural institution that they expanded to having a Sunday market offering the most hipster of brunches, a design concept shop, and even their own craft beer brand. 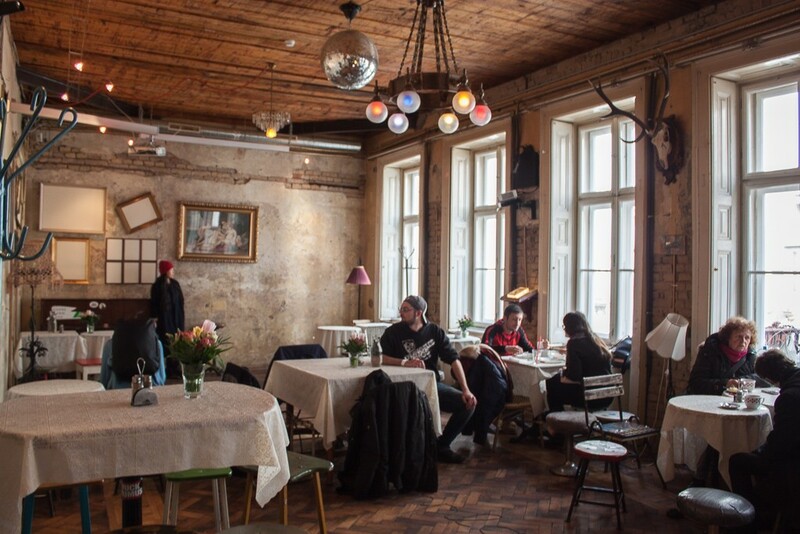 Did you know that there’s a little Budapest in Berlin at Szimpla Kaffeehaus? 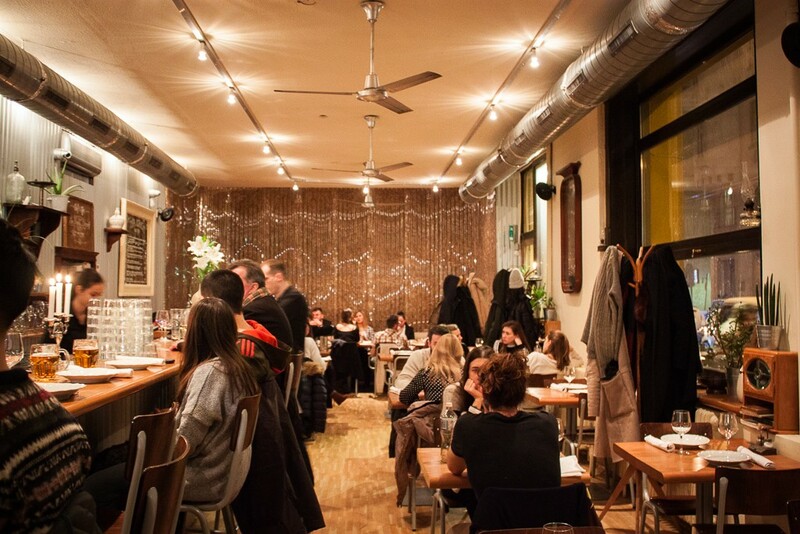 It’s a great spot for craft beer, brunch, and tasty Hungarian fare. I’d tried to visit Szimpla for a quick beer the night before but found it to be too overcrowded for my taste. So I decided to return for the Sunday market the next day and conclude my weekend in Budapest there. It has an entirely differently vibe on Sundays. While again crowded in some parts, it was much easier and somehow more fun to navigate. I bought some souvenirs at the design shop (I collect magnets from every place I travel), walked past the vendors selling fresh bread, vegetables, cheeses, meat etc., and then toured the inside for about 30 minutes or so. Having already eaten breakfast at my hotel, I was a bit dismayed to not have known about brunch being an option beforehand. 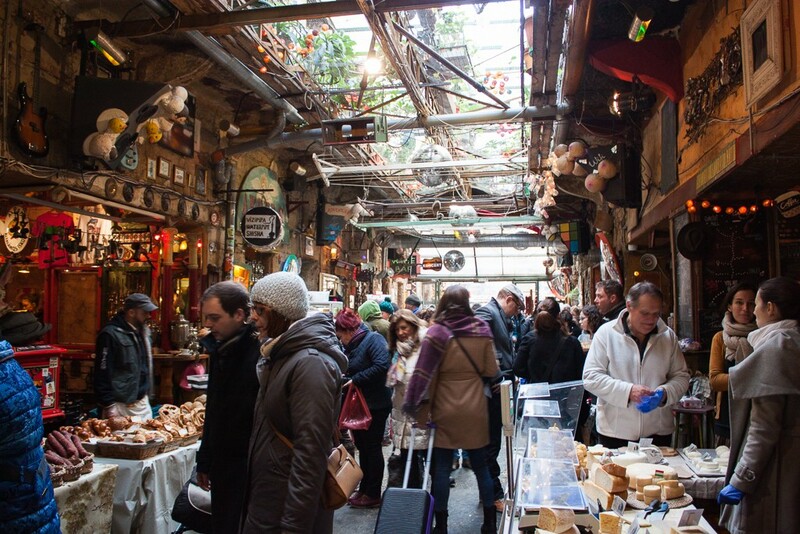 The market’s open every Sunday from 9:00 am – 2:00 pm. 1) If you’re looking to get away from Berlin for the weekend, Budapest’s an easy and affordable option. You can travel there via multiple airlines, with Ryanair and easyJet offering up the best low cost fares. The flight’s just over an hour, so you’ll be in Budapest in no time. Check xe.com to check how the forint fares against your local currency. Your money will go a long way in Budapest, as prices for most things tend to be lower than in many other European cities. I recommend not using the money exchange services offered at the airport, as they’re way overpriced and you can get a more fair exchange rate in the city. You’ll find shops all over Budapest – just check with your accommodation provider for more tips on the best location closest to where you’re staying. If you need some cash to get into the city, use an ATM at the airport, and withdraw a small amount. You can use bank or credit cards in most places. Bus – buses run frequently and there are two options. Take bus 200E and then switch to the metro. Note, you’ll need a ticket for each leg of the journey. The journey will take about an hour. You can also take the more direct bus 100E running every 30 minutes, which travels in the direction of the Deák Ferenc tér central rail station. Expect the trip to take about 30 minutes. Tickets for the 200E bus are about 1.15€ (350 forints) and tickets for the 100E bus are about 3€ (900 forints). Airport Shuttle – walk up to the counter in the airport’s arrival area and book a shuttle to wherever you’re staying. You can book a return ride which should not run you more than €27. This is my preferred way to travel into the city, as it’s not that expensive and it takes you door-to-door. Taxi – you can grab a taxi easily from the airport’s taxi stand area. A one way fare to the city will run you about €26 and should take no more than 35 minutes. Private Transfer – book a fancy chauffeured ride into the city. 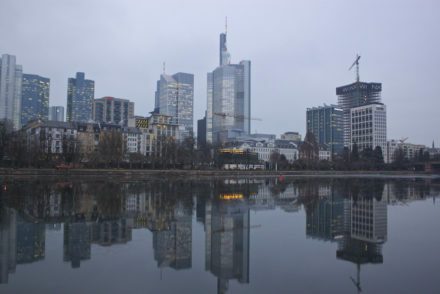 Use a service like Blacklane, with fares starting around €55 one way. For more details about your various options, check out Wikitravel. 4) Budapest’s best in spring, summer, or autumn, but don’t let that stop you from making a visit during winter. There are far less tourists and as a result, prices are lower and you get more value for your money. During the winter months, you can do cool things like ice skate beside a castle, visit a Christmas market, or warm up in one of the thermal baths. 5) If staying in a hotel is not your thing, book an Airbnb apartment. First time Airbnb users, use this link to score a €30 travel credit. 6) Looking for more Budapest travel inspiration? Then consult my Budapest archives, read this guide from Happy Celiac about Gluten Free Budapest, this one about what to eat in Budapest, or this one with free and cheap things to do in Budapest. Download this Google Map to spend a weekend cherylhoward.com style, featuring all of the places mentioned above. Need somewhere to stay when you’re visiting Budapest? Check out hotel offerings on booking.com. Christmas Markets: Wiener Christkindlmarkt at Rathausplatz. Budapest seems like such a nice and beautiful city to visit. I’ve been wanting to visit for so long now and still haven’t… That McDonalds is crazy – even tho I dislike them, I’d def pay a visit haha. Also the thermal baths seem amazing – though very crowded. Maybe it’s not that crowded in the early morning? It’s such a GREAT city. My favourite! 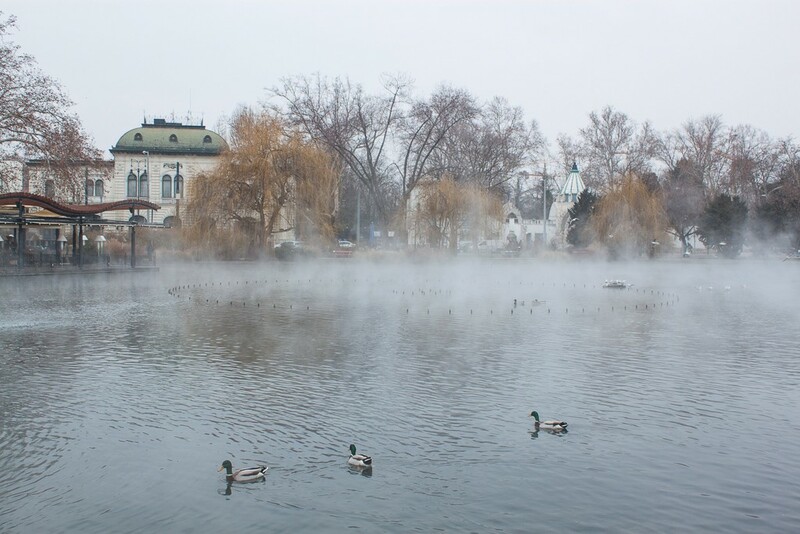 The thermal baths are best experienced at 6 a.m. – this is when a lot of locals go to avoid the tourists and get in a good swim. Wow! Such a awesome post and article you shared! Budapest seems amazing place to visit and beautiful pictures you captured in your travel trip. There are so many things to do. Thank you so much for sharing a great experiences! keep doing a great work!! By the way, thanks for writing about our city with such loving words, it means a lot. Budapest is indeed a beautiful and interesting city, even if many tourist care only for getting way too drunk with the cheap drinks in district VII. Wow! The baths look amazing in winter with all the steam! We bet they were so relaxing too, especially the hot ones. We visited Budapest in the summer and loved it. It was HOT though! We can’t recommend Budapest enough to people looking to travel. While it was good in the summer, their food would delicious and warming in winter! Thanks for sharing! We love the pics! I am heading back to Budapest in January and the first place I’m going to go is to the baths! It’s soooo nice. Looking at going this year wondering if the Hungarian Fornt is widely accepted or is it all euros???? You can see more info in my “Good To Know” section. They only use the Forint and the Euro is not accepted anywhere.